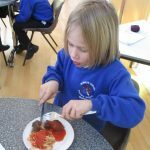 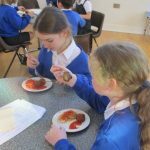 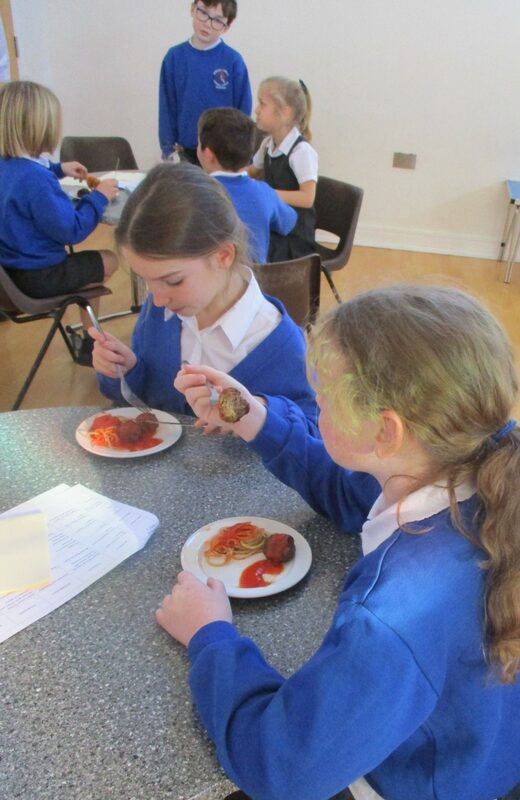 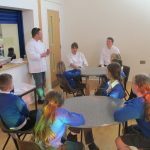 Members of St Mary’s School Council were asked to give feedback on some new dishes that are being introduced on the school lunch menus. 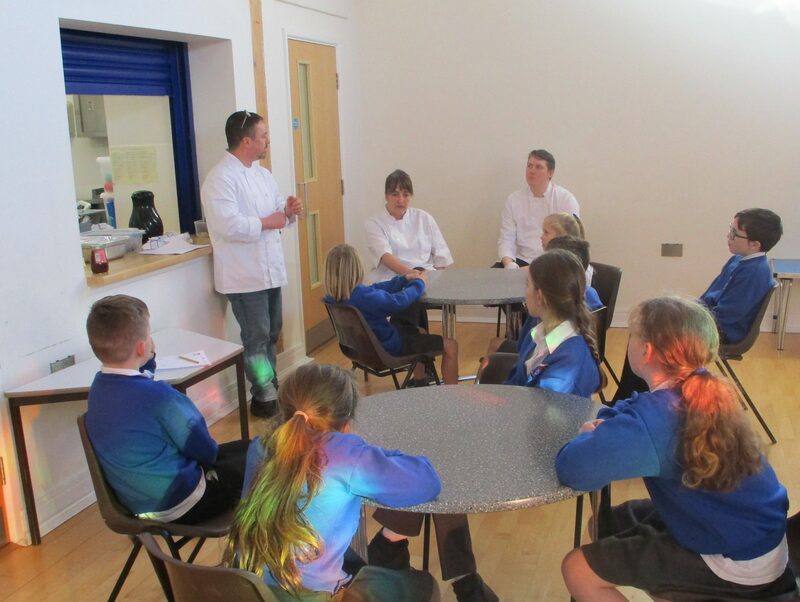 The children and staff from St Cuthbert’s (where the school lunches are prepared) took the whole thing very seriously. 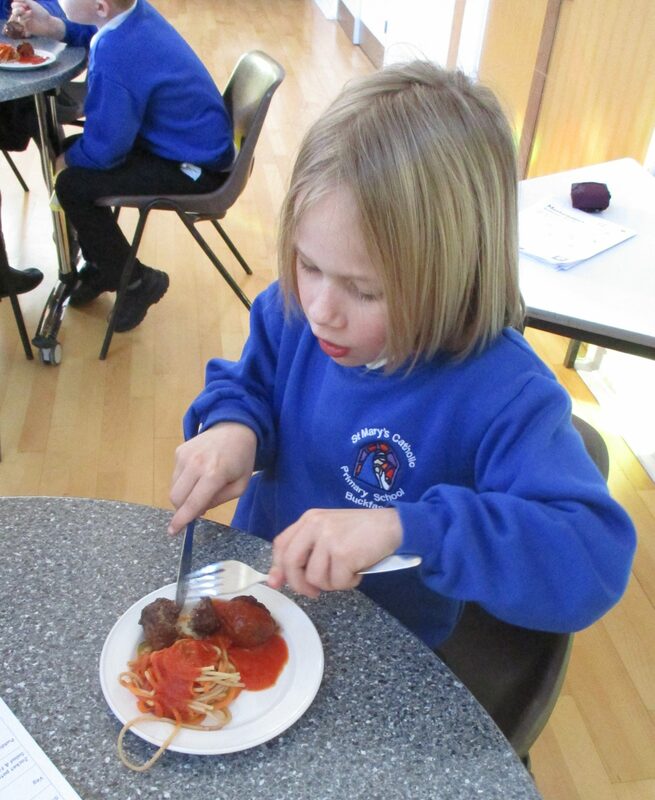 The meat balls proved to be a particularly popular choice!